A life in the military means frequently being on the move. That’s why you and your family need a moving company that you can count on to provide prompt, stress-free relocation services. With over 25 years experience in military moves, consider My Guys Moving & Storage of Virginia Beach your trusted military mover. Members of our Armed Forces sacrifice a lot to keep us safe, that includes having to relocate frequently and often times with little notice. As a military moving company in the Virginia Beach area we have helped many service members move safely and efficiently. We know that you need a company that will treat your family with courtesy, your belongings with care, and that will get you moved into your new home quickly. We’re a family-owned and operated business, so we understand that relocating frequently can be a lot for a military family to handle. We want to help you with this transition. Let us serve you by taking on all of that work, leaving you with more time to spend with your loved ones. Ask us about our Military Discount! 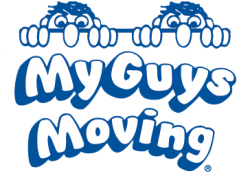 My Guys Moving & Storage of Virginia Beach offers everything you need for a successful military move. As an interstate agent of Stevens Worldwide Van Lines, we have unmatched connections and resources available to us from around the world. We offer both long and short-term storage options for any belongings that you need to leave in a safe place. If you haven’t had time to pick up any packing materials, check out our packing page to see all of the packing items and services we offer. We have great admiration for the members of our Armed Forces and would love a chance to show you our appreciation. Call us or fill out our fast, easy online form for a free quote.